This level has hard difficulty that need good balance of Odus owl and perfect strategy with luck to complete this level. 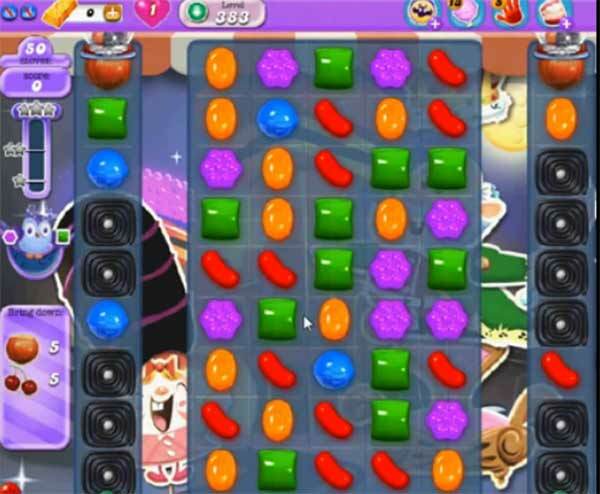 For this level you should try to make striped candy and colorbomb and combine them in moonstruck that you will get after 38, 25 and 12 move remaining. After try to play more from bottom and always focus on balancing the Odus owl to reach the requirement.